Built in the early twentieth-century as an elegant home, Hotel Villa delle Palme is a jewel of Liberty-style architecture entirely surrounded by thirty high palm trees. 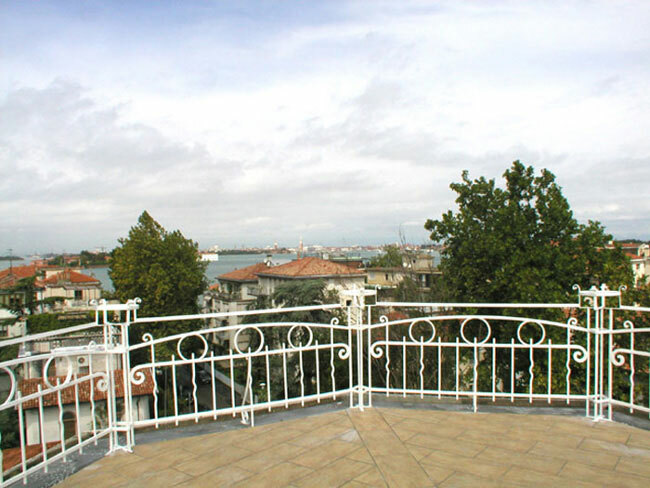 Converted to a hotel in 1950 and carefully renovated in 2002, the hotel still retains some of the original furniture, including precious Murano glass chandeliers and wall lamps. 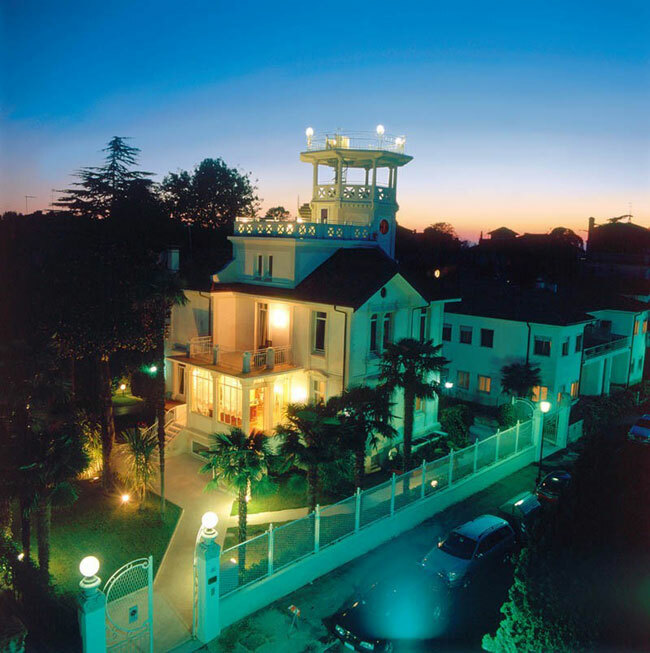 A distinguishing feature of this hotel in Lido di Venezia is its panoramic turret with a 360° spectacular view over Lido and the lagoon to St. Mark's Square. The garden of the villa, for the exclusive use of our guests, is ideal to relax in after an entire day walking the streets of Venice. The hotel offers private parking within the gates of the villa. 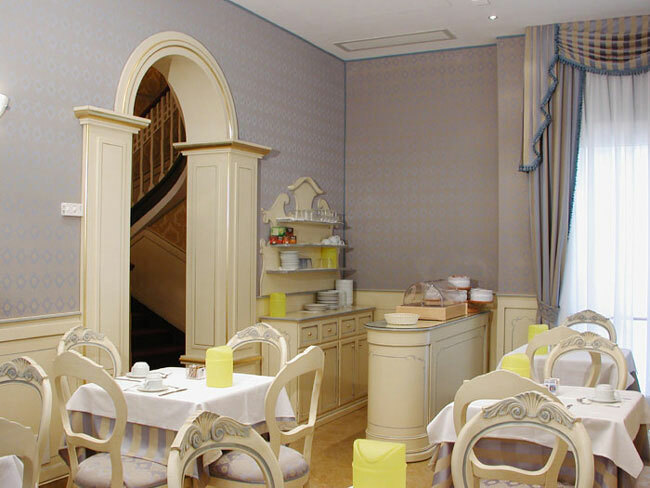 Our rich buffet breakfast is served in a room with classic Venetian style furniture and relaxing shades of celestial blue and ivory. 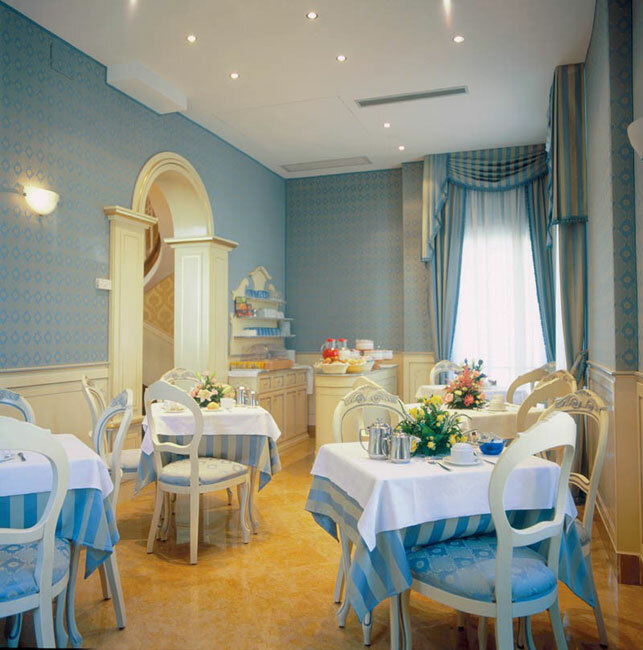 Hotel staff would be delighted to assist you in making your stay in Venice unforgettable, according to your needs. Credit Cards accepted: Visa, Euro/Mastercard, CartaSi, Ax The hotel reserves the right to check that a credit card is valid before your arrival (by placing a hold on the card).